Christmas is sneaking right up! Are you nearly done with your shopping/making/building??? I have a few more things left to do. One To-Do is stocking stuffer gift items. I always put those off to the end. 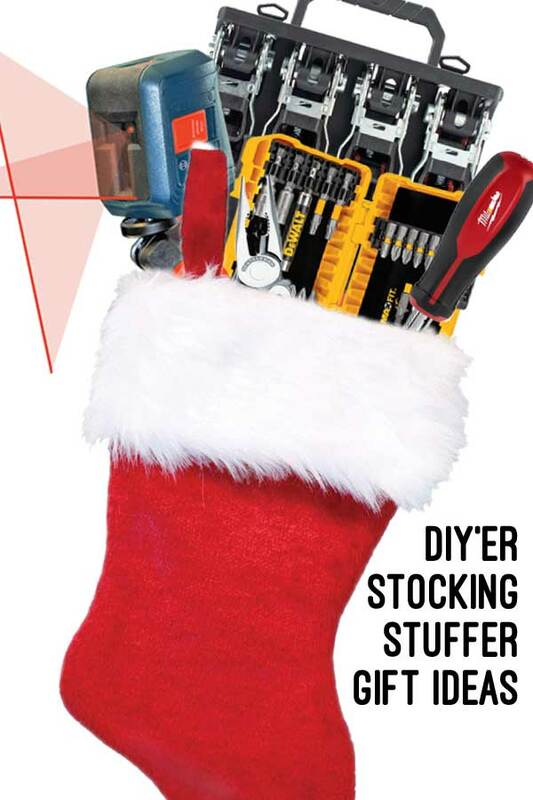 I thought I’d round up a few stocking stuffer and some larger gift ideas for the tool lover in your house. Screwdrivers are a universally handy tool to have around the house, shop, work etc. My favorite screwdrivers are the multi-tip versions, then you only have to have 1 body, but it will perform many functions. I remember being so excited about my first 6 in 1 screwdriver. 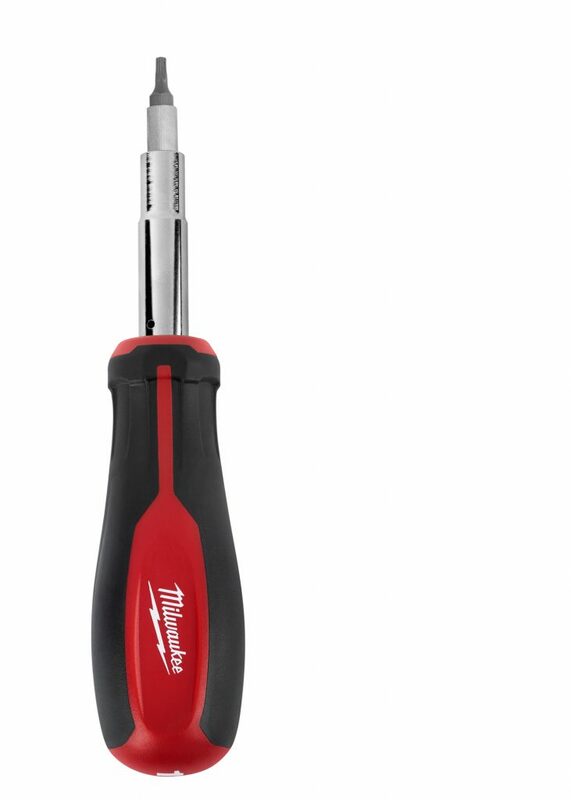 This Milwaukee is an 11 in 1 screwdriver (8 bits and 3 nut sizes), with even a square tip. I use a lot of square head screws, so I love that feature. The Leatherman is my Dad’s all-time favorite non-power tool. He uses it almost every day and you can always count on him having one nearby (even if it’s at the airport, whoops). His favorite model is the wave. It is nice to be able to tote around one tool that functions as many tools. 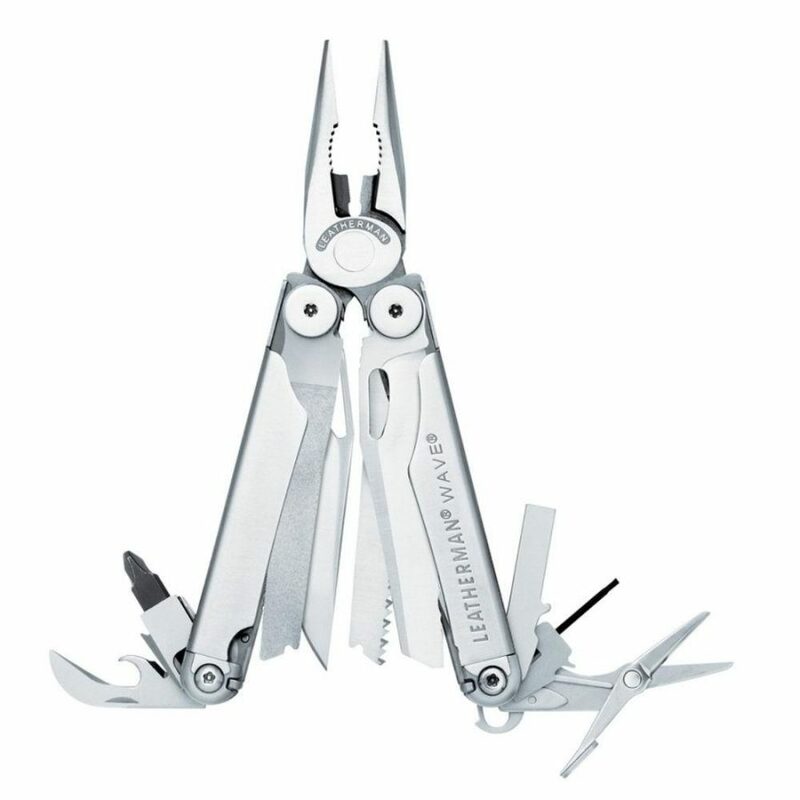 The Leatherman comes with a 25 year warranty. If you have tools, you can always use more bits. I love using the magnetic bits, it frees up a hand so you don’t have to hold the screw onto the bit! 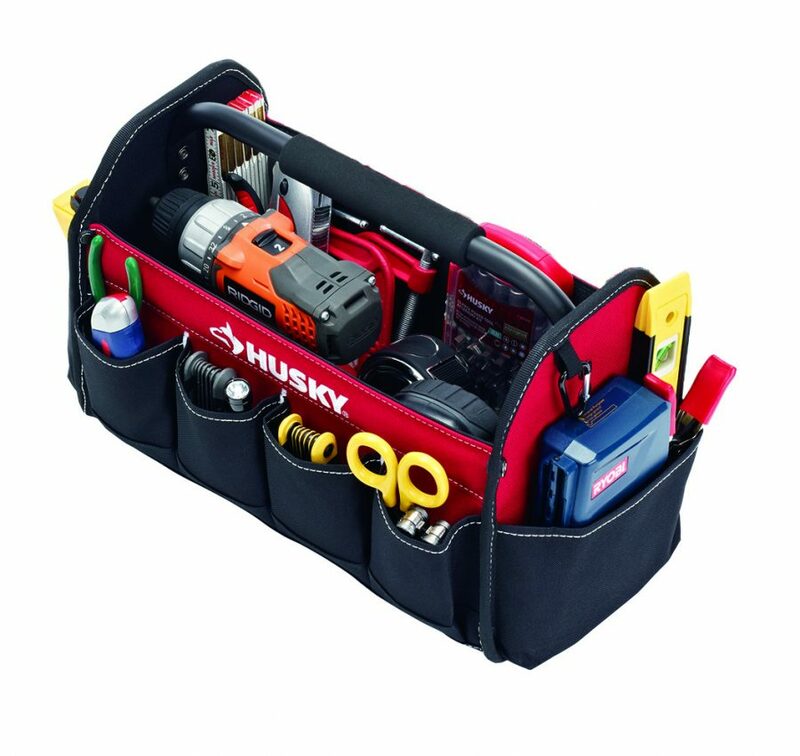 This may not fit ‘in’ the stocking, but a tool bag is really nice to organize your tools. It also works great organizing craft items, electronics and supplies etc, especially with those outer separated pockets and the large open center compartment. If you drive a truck a good set of tie down straps is essential (unless you never put anything in the back 🙂 ). We use tie down straps all of the time when we travel, go camping, pick up supplies etc. Having the quick thumb release is so nice. A DIY’er can never have enough clamps in the shop. You always need ‘one more’ for a project! There are so many types of clamps to choose from. A couple of basic options that I’m always reaching for are the easy to use Trigger Clampstrigger clamps. I also like the automaxx clampsfor projects using a pocket hole joint. If you are a DIY’ing family a laser level is super handy to have around. I like using it for making home improvements like installing wainscotting and even for simple things like hanging up a gallery wall. A nice feature about this Bosch laser leveling device is that you can do the cross hair, horizontal or vertical laser lines. This gift probably won’t fit in the stocking, but I wanted to mention it anyway because it’s a great value. This is the set that I’ve been using in my garage for many years and it is great. 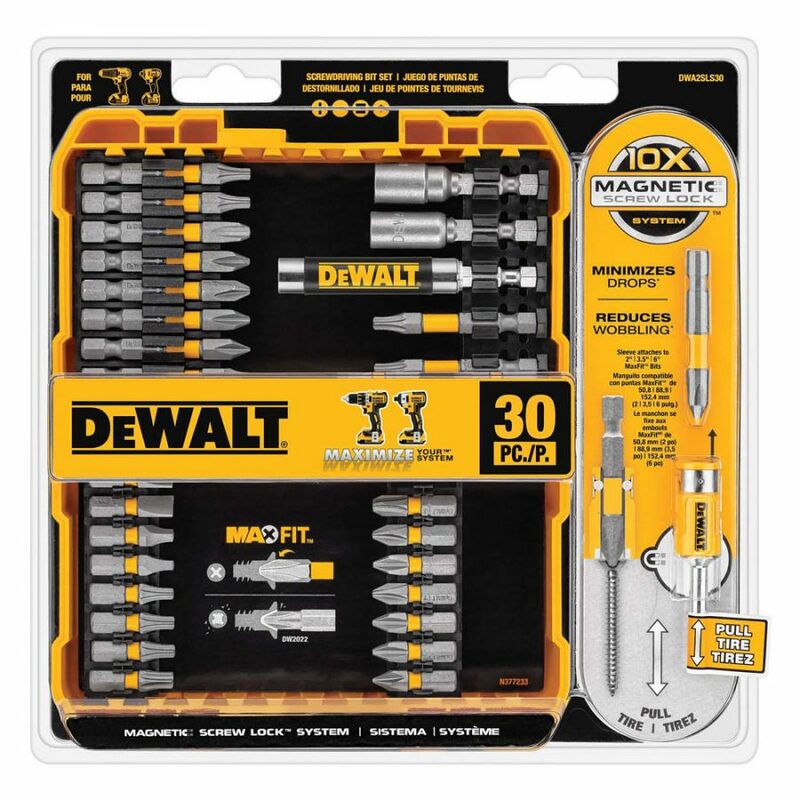 The Drill/Driver combo comes with both the Drill and Impact Driver + 2 batteries for $99. The other nice thing is that the lithium ion batteries work and bring new life to my old blue Ryobi tools too! Ryobi has a lot of Season Savings that you can check out in their circular here. This is a stocking stuffer gift that is perfect for the gamer. My husband burns through batteries with his gaming remotes, so he likes to use rechargeable batteries to save on cost and waste. Hopefully this gives you a few gift ideas that will be great for the tool lover and project warrior in your home. Have a wonderful Holiday Season and Happy Building!